Who is the Course for? End-users, or supervisors of end-users of fall-protection systems who intend to work on an Oil Sands Safety Association (OSSA) member site. This course combines theory and practical instruction to ensure that participants not only understand the risks of falling from heights and how to protect themselves from them but demonstrate their ability to protect themselves and contribute to the safety of their coworkers. 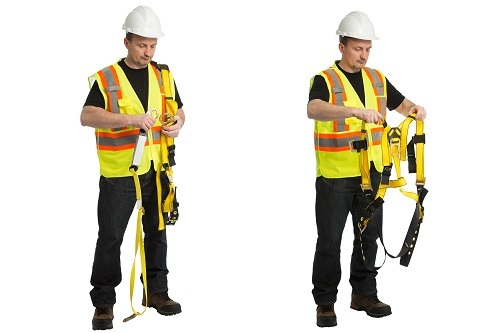 All of the material included in Fall Protection Awareness is included in this course. This course is slightly harder than the regular Fall Protection course.